suggested it was a likely site for sulfur volcanism (Pieri et at., 1984), and if the correlation between bright yellow materials and sulfur holds true, then the 19941995 event at Ra may be an example of an explosion-dominated style eruption including sulfur flows. However, no repetition of such an event has since been detected, either by Gatiteo, HST, or Earth-based telescopes. 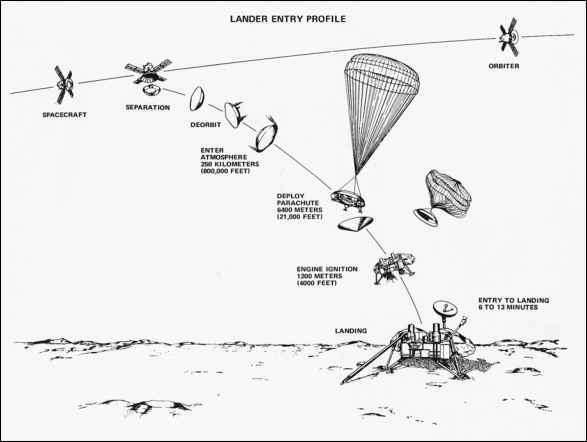 coverage was of low-resolution), so if fresh sulfur flows were emplaced, they did not cover any new terrain. Evidence for effusive S02 volcanism is scant; most surface changes that show variations in S02 content resolvable by NIMS are in the form of regional variations in the plains (Doute et al., 2001, 2002, 2004), which are likely due to redistribution and/ or recrystallization of explosively emplaced S02 snow produced by freezing of volcanic gases (Carlson et al., 1997). However, NIMS detected a strong signature of S02 confined to the floor of Balder Patera in the Chaac-Camaxtli region (Williams et al., 2002), which SSI shows to have a homogeneous white-colored patera floor (Figure 7.10). It is unclear why the floor should be so enriched in S02 relative to the surrounding plains. Smythe et al. (2000) proposed that an S02 glacial-like flow may have erupted and flooded the patera floor. Although the dynamics of such a flow have not yet been explored, mapping in the Culann-Tohil region has detected another region of possible effusive S02 material. 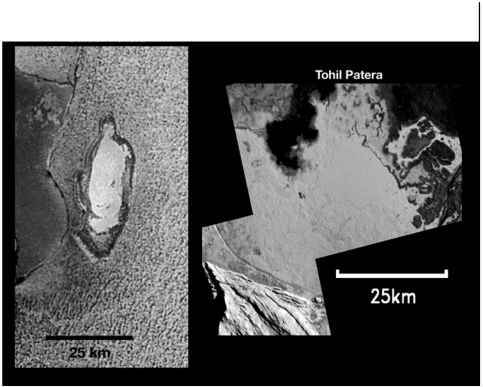 The south-east section of Tohil Patera contains a white material in which high-resolution SSI images show has apparent flow margins (Williams et al., 2004); NIMS indicates that this region also has a signature of enhanced S02, although not as abundant as that at Balder Patera. Although these images are intriguing, additional assessment of the potential for S02 flows must await further study.